Compris dans le lot:3 rares 2 brillantes 5 de 100PV(mini) 1 Pikachu ! chaque lot, du 19/12 jusqu'au 15/05 ! En cadeau dans chaque lot nuclearmary(490°),pedr-267(500°), pedr-267(510°), marcusdemontanus(520°lot), pucon32(530°). "Monsieur Je vous ai envoyé la photo de la commande reçu Elle ne correspond pas à ce que j’a Commandé C’est très simple à prouver. Un seul lot par commande svp, pour garantir qu'il n'y ait pas de double, si vous commandez plusieurs lots, je ne serais pas en. ALL cards are Promo - a lot of Glossy promo cards and vending series cards included from different sets, (coro coro, ANA airlines, CD promo, Asobikata, GYM, vending machinecards and more). All cards are authentic Old Back Japanese Pocket Monsters. There will not be any energy or duplicates in any set of cards ordered, for multiple lots I will keep duplicates to a minimum. Cards Listed Above are Just Examples of cards you may receive at random. This is an OriCa. Ciao, innanzitutto vorrei ringraziarvi per aver verificato questo annuncio. Questo è un OriCa. Tutti le mie OriCas sono di alta qualità. THESE ARE ORICA CARDS. THEY ARE GOOD QUALITY ORICA CARDS. When you have a partner you can count on, nothing can stop you! With trust and practice, these Pokémon can tackle just about anything, so check out the amazing Pokémon pairings in the Sun & Moon—Unbroken Bonds expansion! Sealed Prerelease Kit. Unbroken Bonds Build & Battle Kit. One sealed evolution booster with Unbroken Bonds Promo card. You may see this abbreviated as "NM" in the title. I am more than happy to provide any more information that would be needed. To get this rate you MUST have a combined invoice. I have directions below on how to get this. TRES RARE EN VERSION FRANCAISE. NEUVE EMBALLEE SOUS BLISTER SCELLE. There will be no basic energy or duplicates in any lot of cards ordered. Cards Listed Above are Just Examples of cards you may receive at random. You Will Receive. Lot de 4 boosters neuf ! 🎁Pokemon Japanese Mystery Cube - 100 Card Bundle - Holos & EX Included 🎁. 11 Holos included inside, including EX cards. You will receive a cube of around 100 Japanese cards from various sets, no old back cards included and no energy cards. 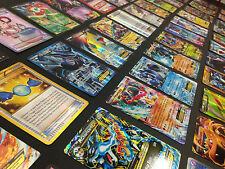 Pokemon cards. The product can be used as gifts for kids. The album contains Ultra Pro 4 pocket pages. An amazing little album to hold your Pokemon cards, or even more so your detective Pikachu set! This is an official Pokemon TCG Detective Pikachu product. Pokemon MEW ANTICO ANCIENT SIGILLATO Sealed Promo Wizard WOTC Nintendo PSA BGS? Condizioni: Sigillato. RIGHT OF WITHDRAWAL CAN NOT BE EXERCISED UPON SEALED GOODS THAT HAVE BEEN OPENED OR TAMPERED WITH. CONDITIONS OF SALE. La stessa dovrà essere integra e nel suo imballo originale, completa in tutte le sue parti. THESE ARE GOOD FOR COLLECTORS OR FOR PLAYING WITH FRIENDS. THEY ARE GOOD QUALITY ORICA CARDS. THESE ARE ORICA CARDS. Ciao, innanzitutto vorrei ringraziarvi per aver verificato questo annuncio. Questo è un OriCa. Played : Several bends and/or scratches not for a collector. You may see this abbreviated as "PL" in the title. You may see this abbreviated as "NM" in the title. If the title and item pictured do not match. And once the opponent has played enough Item cards, Garbodor can finish things off with a huge Trashalanche attack! Robin Shulz, Masters Champion. 60-card Champion Deck. We are here to serve you as the best way possible. We are here to find the best way to solve. This card is great for collectors, or for people that would rather have a nice looking or token for their deck! These are very high quality printed proxies, they use premium special paper and quite expensive ink on a very expensive printer. I use my almost 10k resolution card scans to print such quality images. ANCIENT POKEMON CARDS! PERFECT FOR COLLECTORS! Nom : Feuilles Classeur - 9 Pochettes par feuille, chaque box contient 100 feuilles ! • Ultra-Pro Silver Series : boîte scellée de 100 feuilles (UPC : 0-74427-81442-7, SKU : ULPPG81442). Version : Silver Series. 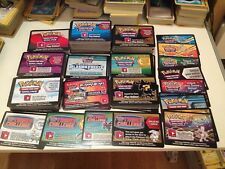 Japanese Pokemon Cards - 1 MYSTERY Box, Booster Packs, Gift, Promo, Charizard? 🎁 Japanese Pokemon MYSTERY BOX 🎁. You will receive 1 Japanese Pokemon Mystery Box. 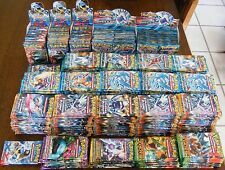 All cards will be authenticJapanese Pokemon cards Majorityin near mint to mint condition! Die Karte ist Englisch und befindet sich in gutem Zustand. Die Karte wird in einem Brief zu ihnen geschickt. Die Karte kommt von einem Drittanbieter aus China, es handelt sich hierbei umkein original ( = Proxy)! Possibilité de prendre jusqu'à deux lots sans double. You are buying the card stated on the title and the picture shown. 4 boosters neufs & scellés VF, 1 de chaque illustration. THESE ARE GOOD FOR COLLECTORS OR FOR PLAYING WITH FRIENDS. THEY ARE GOOD QUALITY ORICA CARDS. THESE ARE ORICA CARDS. 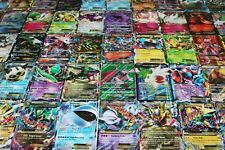 Pokemon TCG ~ 30 Card Lot ~ RARES ~ HOLOS ~ FREE SHIPPING!!!!! NO DUPLICATES! !